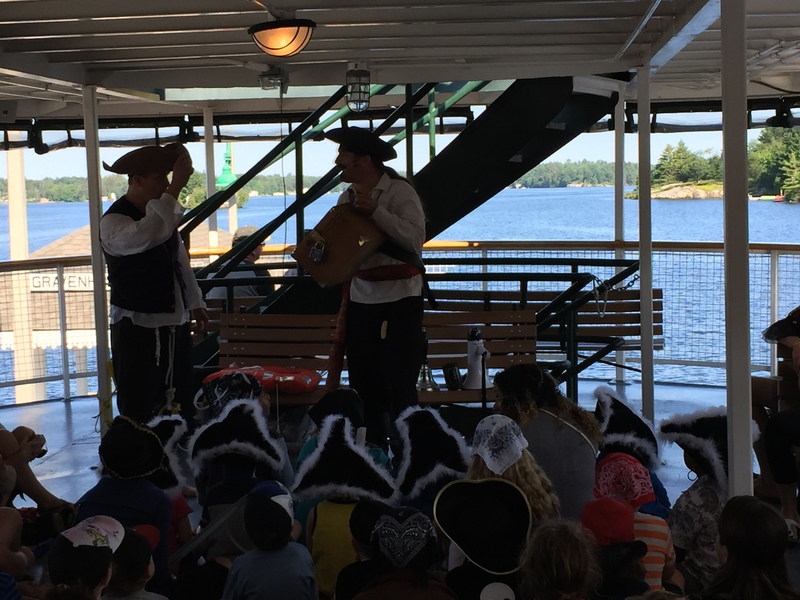 For the past twelve years, I’ve been hosting pirate cruises on the Wenonah 2 from The Muskoka steamships and discovery centre. The ships dock in Gravenhurst Ontario at the Wharf and have a rich history. 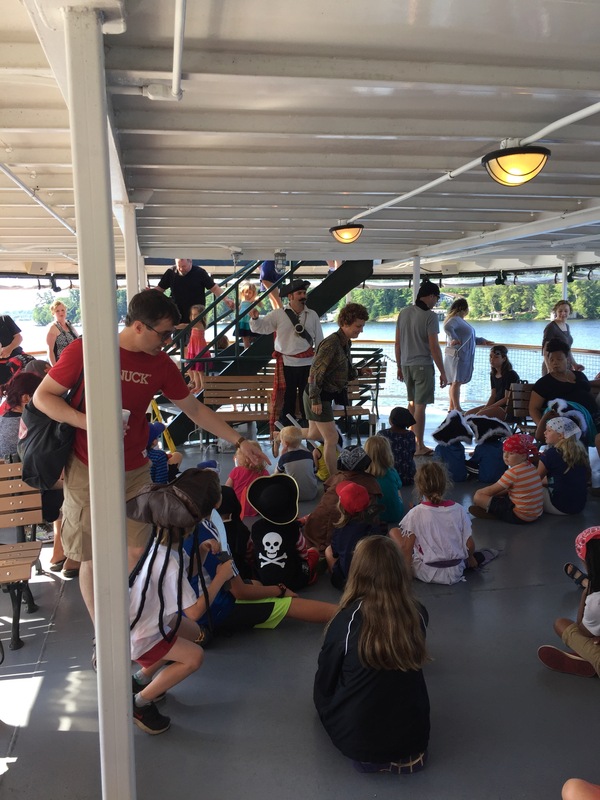 Every Summer Captain Corbin takes over the Wenonah and takes families on a two hour pirate cruise on beautiful lake muskoka. The cruise is full of magic shows, pirate hi-jinks and excitement. Many cottagers in the area dress up in pirate costume and take to the lake in their boats to “attack” our ship. It’s a lot of fun. Aboard the ship Captain Corbin encourages the young children pirates to yell and hoot at the boats like little pirates. Often we are boarded by enemy pirates (actors) who try and start a mutiny, but are overthrown, then thrown over the sids of the ship. Man Overboard! 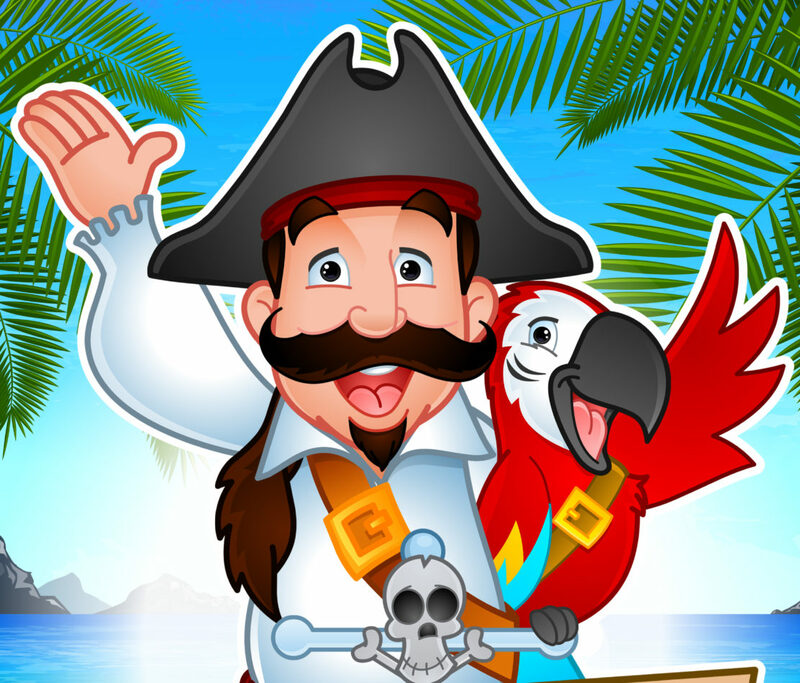 It’s all in good fun though and the cruise ends with the magic pirate finding a bit of treasure to share with all the children. If you ever get to Gravenhurst Ontario this is an event you will not want to miss!